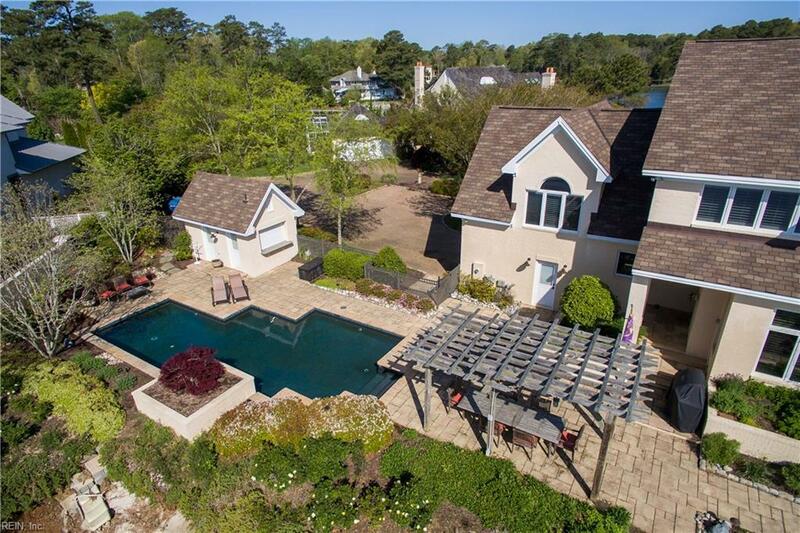 1800 Eden Way, Virginia Beach, VA 23454 (#10233950) :: Abbitt Realty Co. 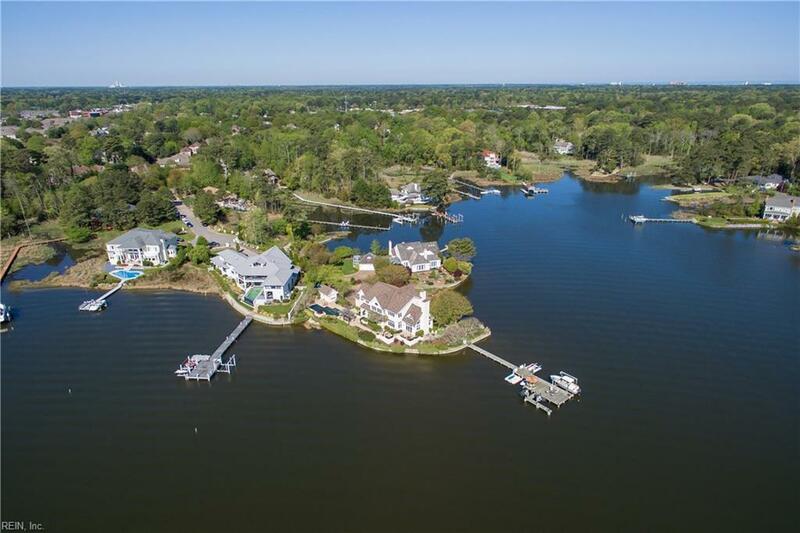 Enjoy captivating views from a one-of-a-kind waterfront home located on a private point of the Linkhorn Bay with water on three sides! 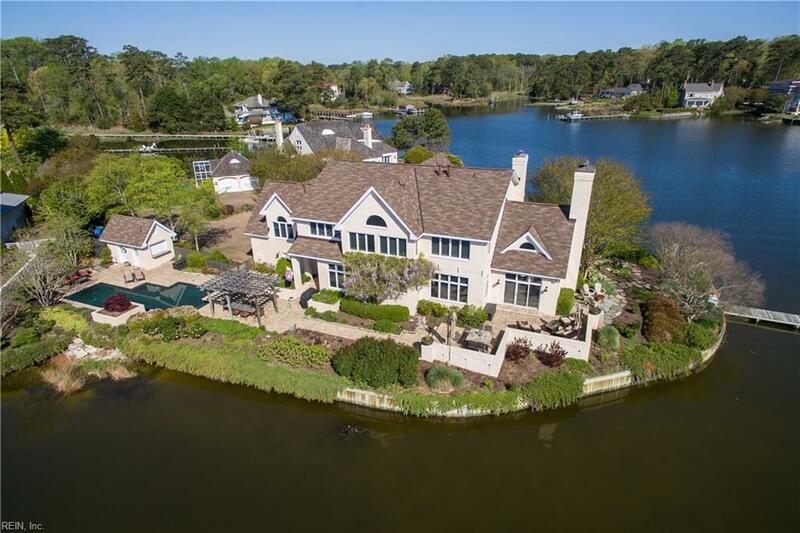 Amenities include a private gated entrance, ample parking, attached garage, fully bulkheaded, pier, dock, boat lift, 2 jet ski lifts & gazebo. Inviting outdoor dining & sitting areas, in-ground pool & patio with cabana style pool house! Home features walls of windows, large open floor plan, full custom bar room for entertaining, huge dining room with fireplace, living room with fireplace and an over-sized eat-in kitchen with fireplace. Master bedroom w/open sitting area (with water views) and walls of windows! First floor has a full guest bedroom suite and Second floor has a master bedroom suite and 2 additional guest bedroom suites. Full decorative fence. Architectural roof new in 2013. 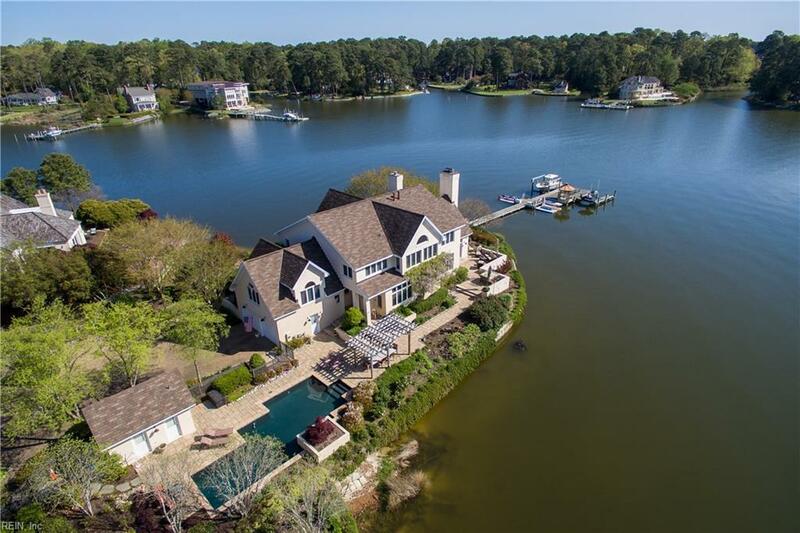 This unique and very special home is a rare opportunity for waterfront living at its finest!